You can get benefits, such as broadcasting content copyright protection, new value-added service of commerce/advertising/VOD via broadcast information, up to monitoring of advertising effectiveness. 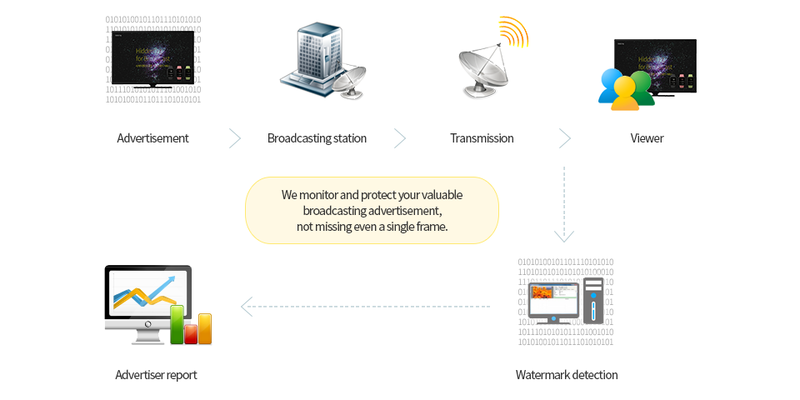 Possibility of various additional services through implementing watermark during broadcasting transmission. Watermark detection even from TV screen capture uploaded on web portals/ blogs, thus providing PPL information or commercial linkage. From now on we provide more convenient PPL linkage information through mobile watermark detection. 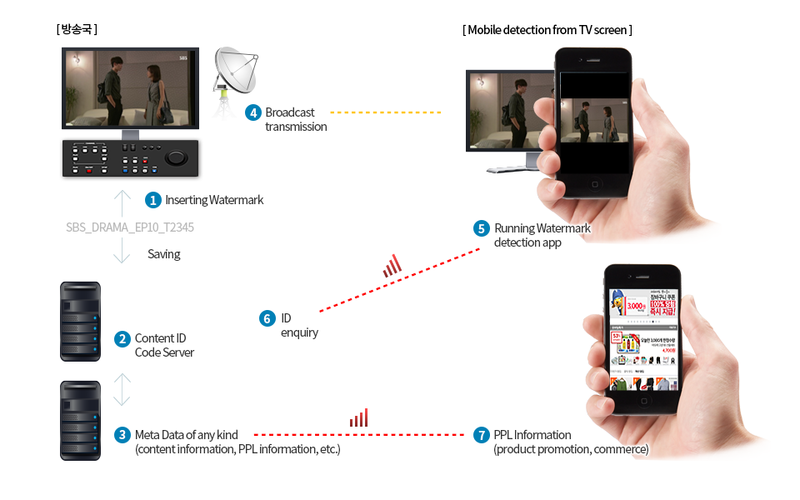 With the “HiddenTag for Broadcast” technology that enables insertion and detection of watermark for HD broadcasting by frame, the unprecedented perfect AD monitoring service is available. By tracking down the duplications, made in a various ways, it is possible to find the first attempter of the piracy.